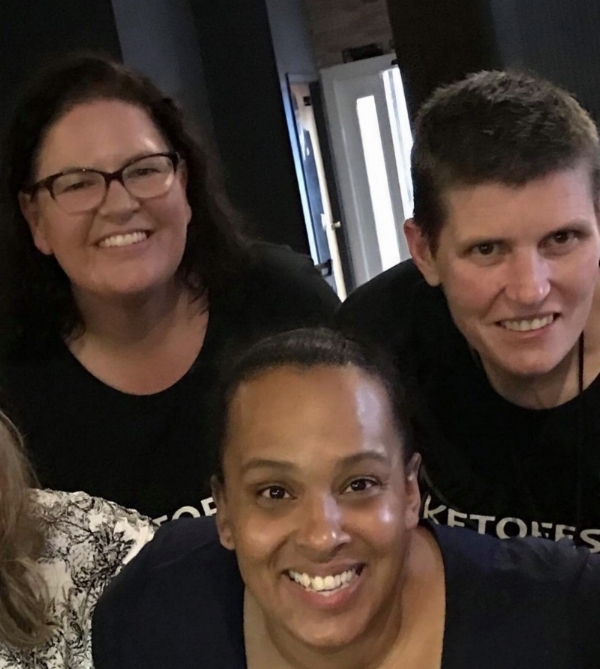 Hi folks I’m happy to share a wonderful guest post with you from some keto friends all the way from Australia. 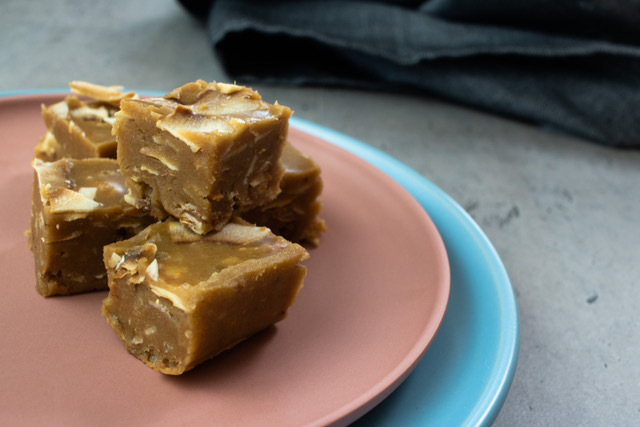 Dan and Erika of Have Butter will Travel sent me this amazing tahini fudge recipe. I adore tahini and love using it in sauces, sweets, and baking. If you have a jar languishing at the back of your cupboard that you haven’t used since the last time you made hummus, dig it out and get ready to make this fudge. You probably have the rest of the ingredients in the house already. The one exception to that is my keto friendly granola; I love how they incorporated it into this recipe and you can buy it from my etsy shop if you would like to. If you don’t have it never fear you can substitute an equal amount of your favorite toasted nuts, seeds, or coconut chips. Hi! We are Dan and Erika the creators of Have Butter will Travel! share our two passions – low carb/ keto eating and travelling. We are super passionate about sharing what we have learnt in the 2 years that we have been living a ketogenic lifestyle. At Have Butter will Travel our focus is on providing quick and easy recipes that show how easy keto can be. We also love to share our experiences of travelling on a ketogenic lifestyle. in each place we visit. Our blog has some great articles on the best keto eats in various cities we have travelled to. You can follow along with our keto adventures on Instagram, Facebook and YouTube. This recipe uses the delicious Keto Cooking School granola, which can be purchased here. It works well with any of the granola flavours, but we prefer the Sweet Cinnamon version. Tahini is a spread made with hulled sesame seeds that originated in the Middle East. It is a popular ingredient used in Middle Eastern cuisine and can be used in hummus, halva and baba ghanoush. It is also a great low carb ingredient and is great for low carb baking. even likes to eat it straight from the freezer! 1. Melt butter in a small saucepan on a medium heat. 2. Remove from heat and add tahini, stir to combine. 3. Add vanilla, salt, sweetener, cinnamon, ginger and collagen. Mix until smooth. 5. Place in fridge for 3-4 hours to set. Slice into 24 bite size pieces. Store in fridge until ready to eat. Notes NOTE: THIS IS BASED ON THE INGREDIENTS WE USED, NUTRITIONAL INFORMATION MAY VARY DEPENDING ON THE INGREDIENTS USED. I had the pleasure of meeting Erika and Dan live and in person at Ketofest this summer. They are lovely and just as much fun as we Americans think Australians ought to be. They are avid travelers and seek out the best keto finds whereever they go. Check out their wonderful blog and follow along on their social media for more fun, food, travel and keto knowledge.